Capture the most spectacular wildlife on camera while contributing to conservation efforts. You will work alongside professional photographers as you go on game drives and bush walks to locate indigenous African wildlife across the reserve. The photos you take will help support the reserve’s public awareness initiatives! Provide underprivileged Nepalese children with the skills and confidence they need to pursue their dreams. Volunteers will assist local teachers by leading lessons in English, math, history, science and more, and also engage in cultural exchange activities like games, sports, and arts and crafts. Take part in a photography and research program in the most spectacular setting – the Zambezi and Victoria Falls National Parks in Zimbabwe. You will be staying in the National Park, on the banks of the Zambezi River, with hippos, elephants, and bushbucks as neighbours. Take part in a three day photography workshop, and assist in collecting vital research data on Africa’s most iconic species. 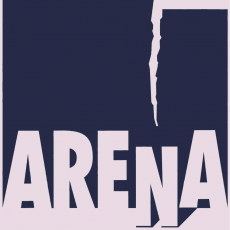 27th International Week of young theatre – ARENA FESTIVAL of ART Germany are calling for submissions. They are looking forward to diverse applications in the International Week of young theatre – ARENA FESTIVAL of ART Germany are calling for submissions. They are looking forward to diverse applications in the field of drama, dance, experimental and performance art. The festival is organized by students of the Friedrich-Alexander-University Erlangen Nurnberg on a voluntary basis but they can offer artists’ travel expenses, accommodation and care allowance but no wages.